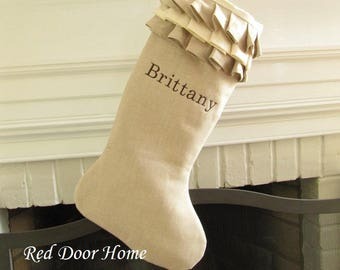 Red and white ruffle top stocking shown with olive green embroidery in font #2. 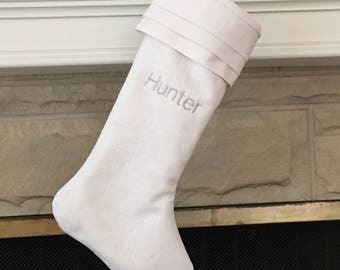 Please include in the comments section names or letters, font number, and embroidery color when ordering. 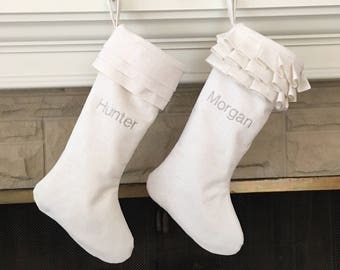 Names will be embroidered exactly as written. 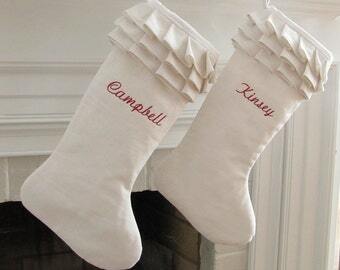 If typing is done in all uppercase letters, embroidery will be made in all uppercase letters. 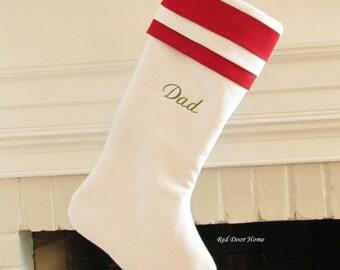 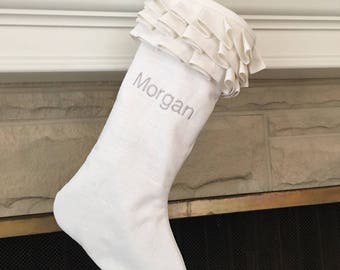 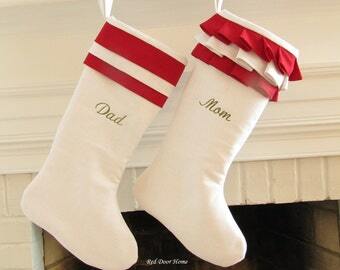 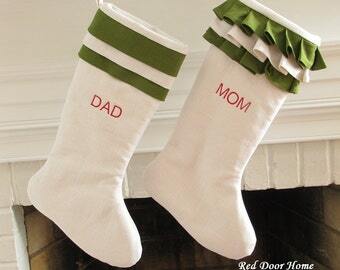 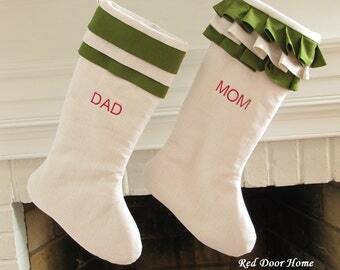 Please specify which name goes on which stocking. 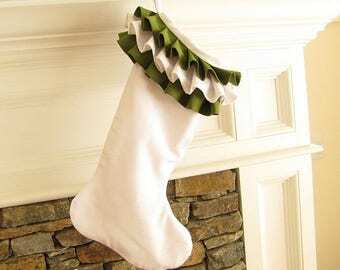 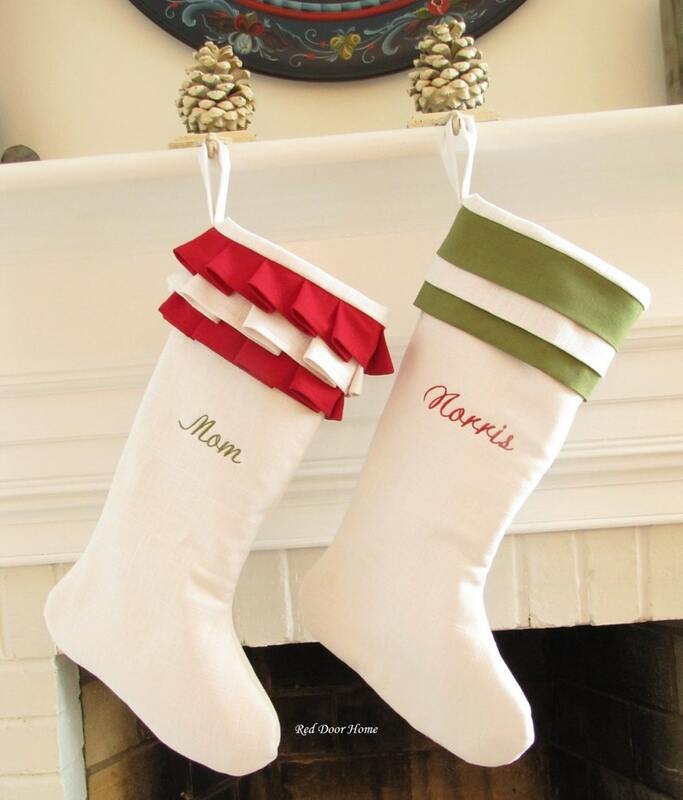 This listing is for two stockings as shown - one red/white ruffle top and one green/white cuff top. 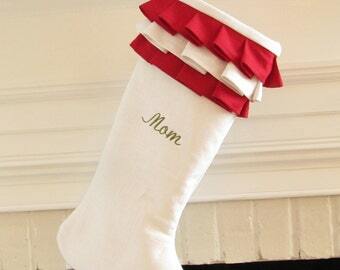 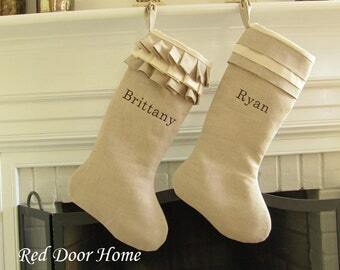 Stockings are available for individual purchase in my shop with or without embroidery.